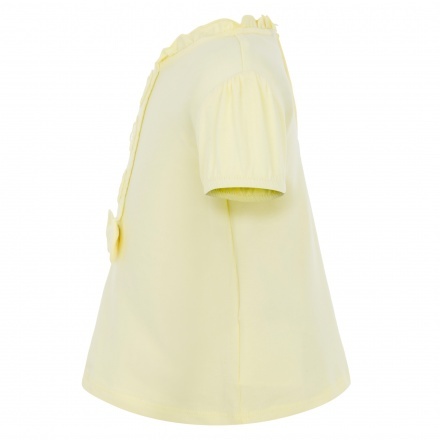 Spruce up your baby girl's look with this t-shirt. 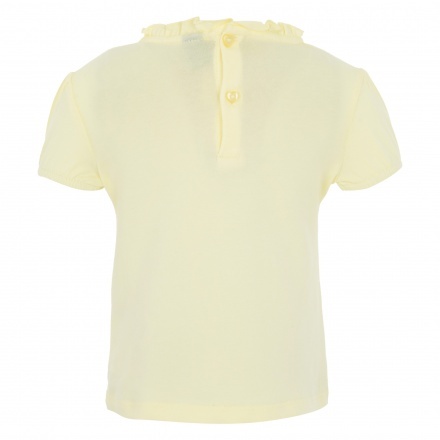 It features a ruffled round neck, short-sleeves and comes in a neutral shade. 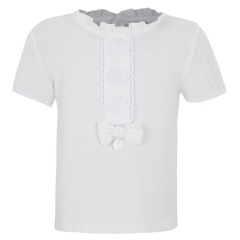 The bow accent and floral lace placket add to its classy appeal.